The foundations of the ashtanga vinyasa yoga practice. The history of ashtanga yoga. How the practice can relate to everyday life. Practical techniques such as breathing and energy locks to help you develop your yoga practice. 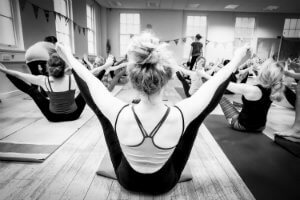 The aim of the course is to build you towards cultivating a sustainable yoga self practice where you become independent and inspired to practice yourself, separate from the need to go to a class or a teacher. Going to a class or teacher is developmental and for support in moving your practice forward or through life processes. The yoga practice really works when you commit to learning it and are inspired to practice it by yourself. Depending on the type of group we have, we often get you to learn in the small group Mon-Wed. However by Thursday or Friday you will move more into practicing the sequence independently in your own time under the guidance of your teacher in the SYL Mysore self practice room. These courses are suitable for complete beginners, as well as those who want to learn and experience Ashtanga Vinyasa Yoga more in depth. 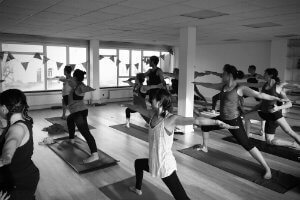 The course’s base structure is on creating a self practice and establishing the fundamental movements and techniques that underpin movement of the body in yoga postures. These techniques are also tailored to your own bodily requirements in relationship to how you personally practice the sequence. We have had many people come and transition from a led class environment to a self practice using this course.